A vintage World War I cannon is displayed in a park, surrounded by grass and green trees. 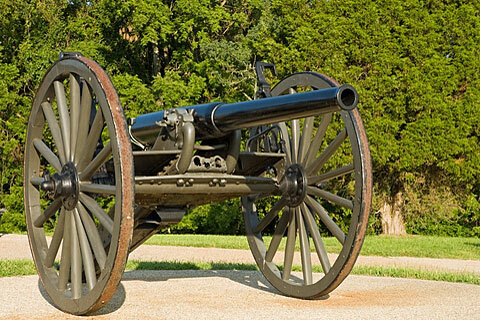 The wheels on the cannon enabled soldiers to move the artillery in order to best combat the enemy. While the cannon is now silent, it allows us to remember those who lost their lives for our country.